The units entered in the size field are in in. Minimum Size 1.2 in x 1.2 in. This bathroom shower door sticker is wonderful to decorate your home. A spectacular photograph from our collection of sea wall stickers taken from just above the water of a very clear sea. The sunrise creates beautiful rays of light through the water and gives it a brighter and spectacular effect. 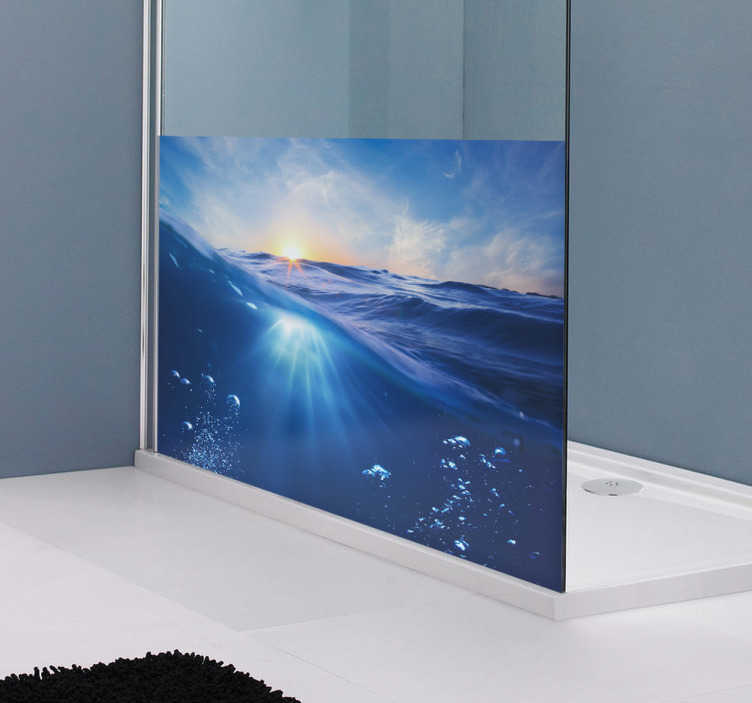 Personalise your bathroom or any glass surface with this vinyl decal of such an amazing view.